Freedom, everyone needs that from one thing or the other, but does everyone get that? If they do, there is definitely a price involved and this price can be anything from emotions to money and physical to the material. Are we ready to pay the price and be free or accept what is happening and move on without being sure of the future. What if we knew what happens next, good. What if we knew what happens next is what we wanted, better. What if we later realize that what we wanted was only temporarily with us, worst. Is there something called as the best in this world? If there is, how do we achieve the best? 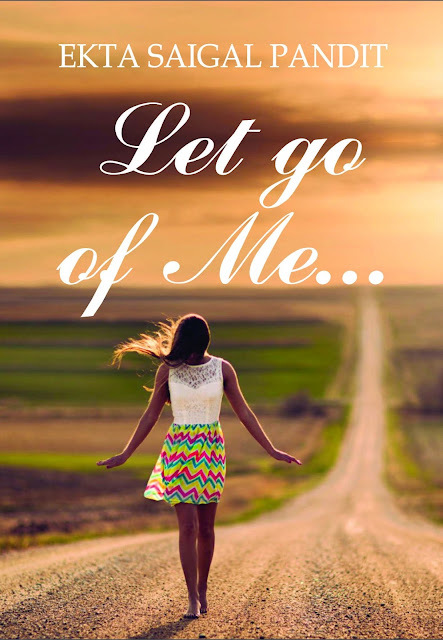 Let go of Me is a book written by Ekta Saigal Pandit which revolves around two main characters Asmi & Sagar who have lived their lives on two different extremes before they meet each other. The story is about two lives engulfed in different situations looking for true love and they find it in each other but that doesn't last for long. Unlike every other love story which has a happy ending, this story doesn't have one. One becomes matured even after losing the sense of true love while the other keeps longing for it and tries to prove the righteousness. Sagar comes from a village and has always lived a comprised life for the sake of his family and has even sold himself to meet the ends while Asmi had the better of childhood and the good of life but the only thing missing in her life is true love. When Asmi and Sagar first come across each other, they find a connect between themselves. They both turn out to be the twin soul and Asmi agrees to accept Sagar with all his baggage and is contained with the fact that she has finally found someone, but this containment doesn't last for long when she comes to know about Sagar and his undisclosed life, which he had intentionally hid from Asmi, from someone else to whom Sagar had sold himself to on various occasions. Sagar met Asmi's expectations and yet fell short of it, but this isn't the sole reason for Asmi deciding to move on, leaving Sagar behind, you need to read Let go of Me to find out more. Why this book is different from other love stories is not because of the pain the characters go through, but because of the connection they have, the connection of soul, the connection that pulls them together into one. Their love story has a spiritual connect. Another thing that I liked about the book, Let go of Me, were the three line haikus before every chapter that almost summarized it and you could guess what will happen next. The book carries a message for life and yet maintains simplicity throughout, nothing is overdone. 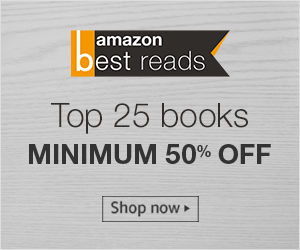 You will definitely like the book if you like reading about unconventional love stories. Thanks for sharing, Mr. Gupta. I’m going to read it. Welcome, Ravish. I am sure you are going to like the book. Thanks, Kaushal. It's a delight to be read and even more to be understood. You are welcome Ma'am, the story was completely different from the regular fiction romance genre. Looking forward to your other books. After reading your review, I want to read the book. Thank you for writing about it. I am glad to hear this, I hope that the book meets your expectations as you are reading it as a recommendation from me. Do share your thoughts here when you are done reading the book.